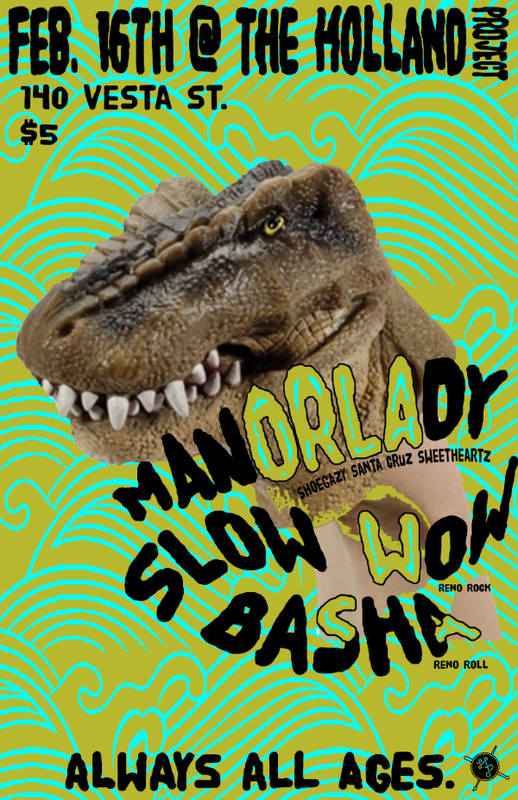 Santa Cruz’s Manor Lady are rolling up to Reno! These coastal cool-gazers make their own sound comprised of doom, dream-pop, and noise rock influences. Joining em, Slow Wow are 90’s indie-punx to the core, spearheaded by Jen Archards cutting songwriting. To top it off, Basha are Reno’s sickest resident grunge-pop rockers.